This is a photograph of Cecil Parks Archer (left) and Hulda Florence Mattox (right) taken in McPherson, Kansas. 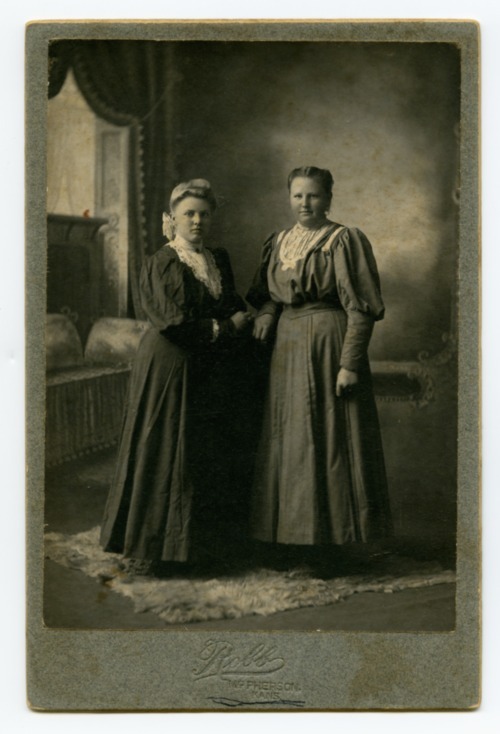 They are the daughters of Joseph and Gennie Parks and were born in McPherson, Kansas. Hulda married Arthur Edward Mattox on December 23, 1908 in McPherson. After their marriage, they moved to Turney, Missouri where they lived and raised their children.